This eagerly anticipated spectrophotometer combines the Jenway micro-volume accessory with the high specification Genova Plus instrument. It delivers life science measurement modes and standard spectroscopy measurement modes alongside the new micro-volume capability. This makes the Genova Nano Jenway's first 3 in 1 spectrophotometer, which can adapt to meet all your laboratory needs. The Genova Nano measures small sample volumes as low as 0.5μl with a high degree of accuracy, reproducibility and speed. Its ability to measure small sample volumes, conserves precious samples, reduces the need for dilutions and eliminates the requirement for cuvettes. Cleaning is quick and simple; wiping the read heads with a microfibre cloth removes all trace of the sample, allowing faster change over between samples and therefore increasing sample throughput. Jenway's NEW Genova Nano is the only 3 in 1 spectrophotometer on the market. Not only does it offer the user the ability to measure micro-volumes but also has all the life science measurement modes of Jenway's Genova Plus along with the standard spectrophotometer modes of the 73 series. In addition to having all the measurement modes needed the Genova Nano can be used with any of the accessories of Jenway's 73 series. It is the only spectrophotometer on the market that combines accurate micro-volume technology into a fully functional life science spectrophotometer. The perfect fit into any laboratory, you choose how best to measure your sample, the Genova Nano will respond. 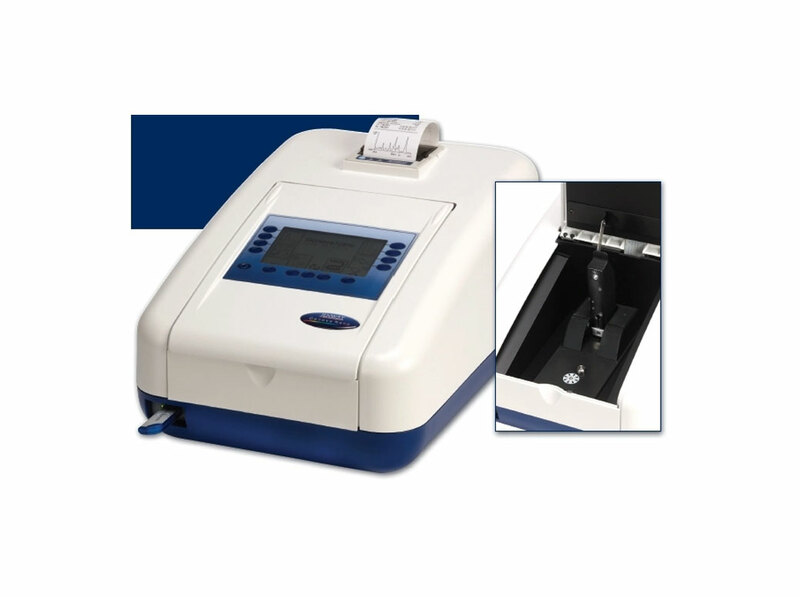 737 501 - Genova Nano micro-volume scanning spectrophotometer fitted with micro-cuvette accessory, supplied with 10x10mm cuvette holder, 4GB USB memory stick, instruction manual and universal power supply.